Climatrol Inc. is your trusted, locally-based, indoor air quality contractor. We provide professional whole home humidifier installation and repair services for our valued customers in Clarksburg, and throughout our West Virginia service area, as we have since 1969. Our services are available for residential and commercial customers. Let us help you breathe easier with the ideal humidifier to meet your needs at home and at the office. Your furnace and central air conditioner blow dry air throughout your home, making low humidity levels a common concern for customers with forced-air HVAC systems. The low humidity of this dry air is uncomfortable, and can exacerbate a variety of health-related concerns. Professionally installed whole house humidifiers may help alleviate a variety of conditions, including asthma, coughing, respiratory and skin afflictions, such as dry, itchy skin. Humid air also weighs down dust particles (and the bacteria and viruses that may be attached to them), preventing them from drifting as easily throughout your home. They also provide some protection against damage to wood items and electronics, which are sensitive to prolonged exposure to dry air. A properly installed humidifier assists with keeping you comfortable and healthy throughout the year. 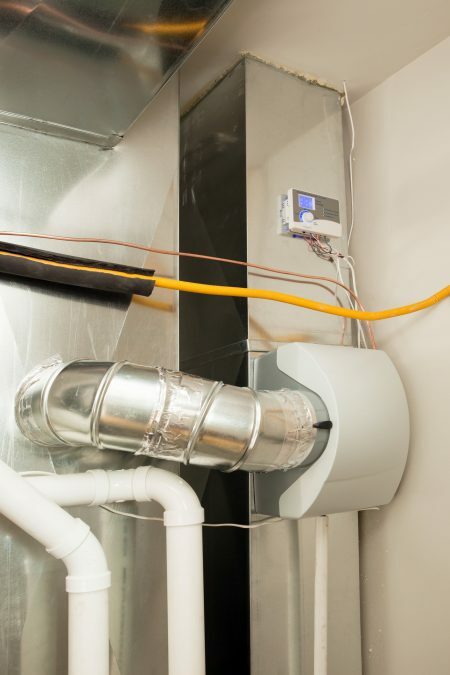 Proper humidification can help you utilize your heating system more efficiently. Because moist air is capable of holding warmth much better than cool air, you can adjust your thermostat lower while still enjoying the same level of comfort. If you are able to lower your thermostat a few degrees, the effects on your winter energy bill can be substantial. Contact Climatrol for answers to your questions about whole home humidifiers. We offer installation of the finest and most durable brands of humidifiers, as well as repair service for all major brands. Call to request a free quote or schedule your installation: (304) 623-0606.